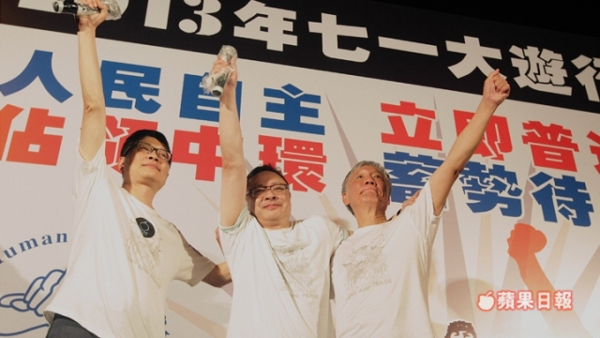 ‘Down with CY Leung’ – but what are the next steps in democracy struggle? 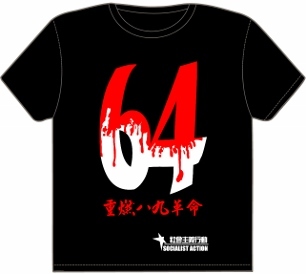 This year is the 16th anniversary of Hong Kong passing from British colonial rule to CCP (Chinese Communist Party) rule. Since 2003 when 500,000 people marched on 1 July, this day has become a protest day for the masses to express their discontent. This year is the 10th anniversary of the 2003 demonstration. 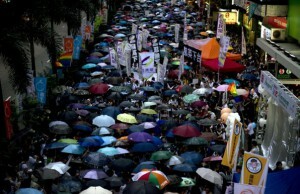 Under a typhoon warning and heavy rain, the masses in Hong Kong insisted on going to the streets. Organizers of the demonstration, the Civic Rights Front declared that there were 430,000 people marching, while the figure from the police is only 60,000.
high number marching is an indicator of the discontent of the masses. The pro-government forces in order to lower the number of protestors, used a lot of money to organise music concert and shopping discounts, but it had no effect. 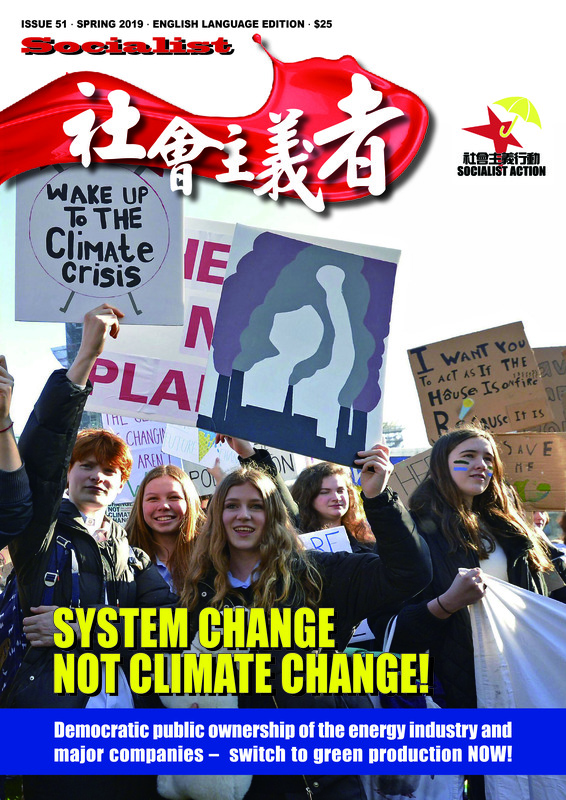 However, the mouthpiece of the CCP, Global Times which downplayed the demonstration as ‘a modern tradition’ and a chance for people to lobby, showed their position is to ignore the demands of the masses for democratic rights and social justice. The ruling elite and the government of chief executive CY Leung refuse to change course and will continue to generate more mass anger. 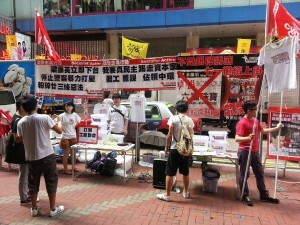 The slogan of ‘down with CY Leung’ roared through the streets. Last year, when CY Leung came to office, 400,000 people marched demanding him to go. The past year, from the massive struggle against the brainwashing national education policy, the upturn in state repression against democracy activists, and the breaking of election promises, means trust in the government has fallen to rock bottom. Rumours, strongly denied, indicate that the CCP may be discussing a ‘Plan B’ to remove CY Leung before his term is completed, as his unpopularity makes it even more difficult for them to cheat the masses again on the issue of universal suffrage. Several ministers of the government have been hit by scandals with some forced to leave their position. Ex-Secretary for Development, Mak Chai Kwong, resigned 12 days after coming to office last year, found guilty of housing fraud just a week before 1 July, becoming highest ranking government official to be found guilty of a criminal offence since the handover. Participating organizations include the moderate democrats like Democratic Party and Civic Party, the more radical force like League of Social Democrats and People Power, and also the ‘Proletariat Political Institute’ split from People power. There were also different small NGOs and political organizations. Socialist Action had a street station in Causeway Bay and Wan Chai and we raised our slogans of ‘down with CY Leung’, ‘Abolish outsourcing’, ‘Democratic public ownership of corporations’ and ‘Occupy central, school strike and worker strike’. This year, the destination of demonstration was moved to the Central district, as a symbol of ‘preparing the Occupy Central movement for democracy’. The idea of Occupy Central, planned for next year, is very popular among ordinary people especially the youth, shown by the high fund raising result of HK$800,000 for the ‘Occupy Central with Love and Peace’ group. While it is a good sign that people are becoming more determined to fight for democracy and against the current system, the leaders of Occupy Central unfortunately show no preparation or willingness for a real struggle. 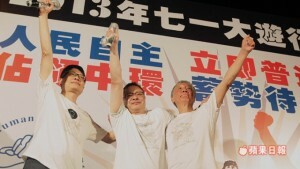 Their speeches at their rally stressed the need for ‘love and peace’ instead of the type of strategy and tactics needed to defeat the CCP dictatorship. This reality gap became more obvious at the July 1 rally and disappointed a lot of the more conscious layers of youth. According to a survey in Apple Daily newspaper, 60 percent of protestors polled claimed that they will participate in Occupy Central, with 70 percent of them supporting a school strike and worker’ strike to fight for real universal suffrage. The masses especially of youth seem to be far more radical and determined than the bourgeois leaders of the Occupy Central movement. Socialist Action is the only organisation clearly campaigning for strike action and while supporting an occupation as a start, explaining the need for more decisive methods and fighting demands in the democratic struggle. This shows that there is a huge political vacuum. Determined fighters, especially the workers and poor are not yet organized enough to fight for leadership of the democracy movement, while the politically weak and inexperienced bourgeois personality can jump in to gain short- term popularity. A left force based on fighting workers and poor, equipped with a socialist programme is needed to fight for genuine democracy and against the capitalist system.